Confession: I haven't figured out a shooting setup at my new apartment, which is why the pictures you've been seeing have been more, uh, guerrila. The good thing is I scrambled to get the new iPhone when it came out, so my on-the-go snaps enjoy a (hopefully) crisper quality. Some pictures are better than no pictures, right? Anyway, I seem to be very very late jumping on the bandwagon that is Obsessive Compulsive Cosmetics. Considering my penchant for mixing colors, this is very surprising. 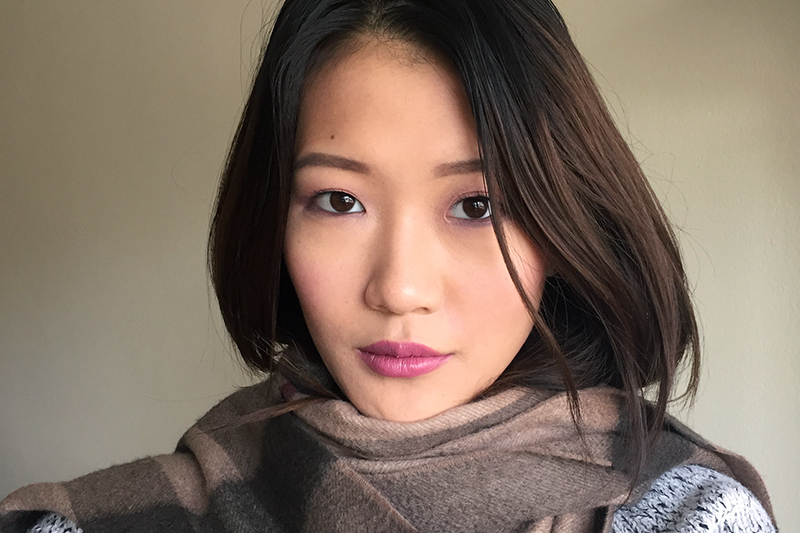 The first Lip Tar I had the pleasure to try is the one photographed above – Lydia. A darkroom plum according to OCC, a pinky mauve according to me. The formula is incredibly light, non-sticky, and fragrance free. 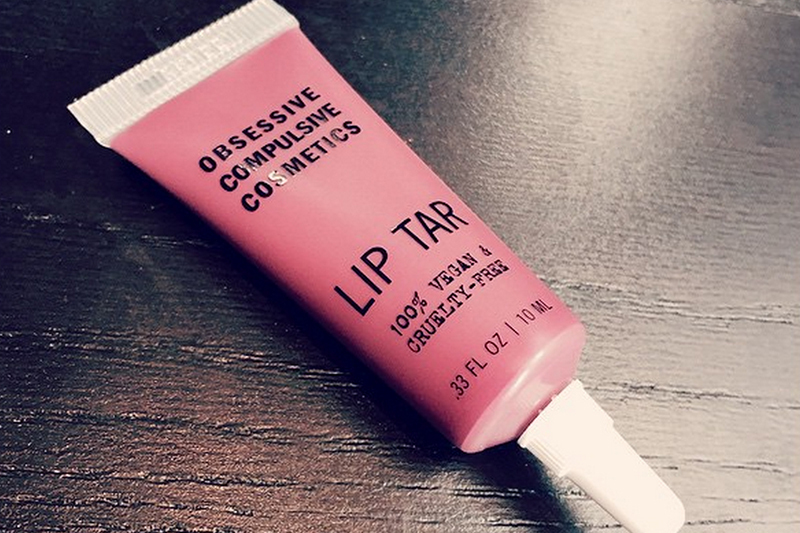 OCC Lip Tar comes in deceptively small tubes, as in you might think you got the short end of the stick until you realize that a little product truly goes a very long way. These things are pure pigment – I never apply anything more than a dab of color to my lips, otherwise I'll find very quickly that I've squeezed out too much. Although each tube comes with a short-handled lip brush, I prefer to spread the color on my lips with a finger (produces a more natural finish) and then use the excess on my cheeks. This way, I get rosy blush and have a fuss-free way to clean my fingers (I had to say it!). Without careful prep (primer + primer pencil), the darker OCC shades usually feather on me, but I'm happy to report that Lydia doesn't have the same effect. That said, while OCC is known for long-lasting color, Lydia fades within 3-4 hours on me. I suspect it's due to my application method more than anything. OCC Lip Tar - Matte: Lydia retails for $18 and is available at Sephora and occmakeup.com.